Rethinking Fashion in the Age of Digitalisation. Anouk Wipprecht is an Dutch Designer and Innovator working in the emerging field of "FashionTech" - a rare combination of fashion design combined with engineering, robotics, science and interaction/user experience design to make fashion an experience that transcends mere appearances. She wants her garments to facilitate and augment the interactions we have with ourselves and our surroundings. Her Spider Dress is a perfect example of this aesthetic, where sensors and moveable arms on the dress help to create a more defined boundary of personal space while employing a fierce style. 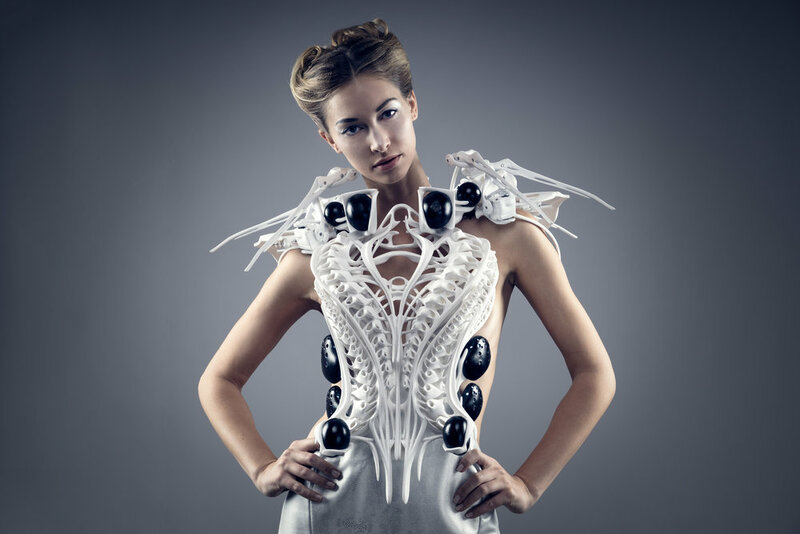 Partnering up with companies such as Intel, AutoDesk, Google, Microsoft, Cirque Du Soleil, Audi, and 3D printing company Materialise she researches how our future would look as we continue to embed technology into what we wear. Photography courtesy of Anouk Wipprecht. Anouk Wipprecht (NL) is a FashionTech Designer. She is fascinated by the idea of having both a physical and a psychological relationship with a garment. 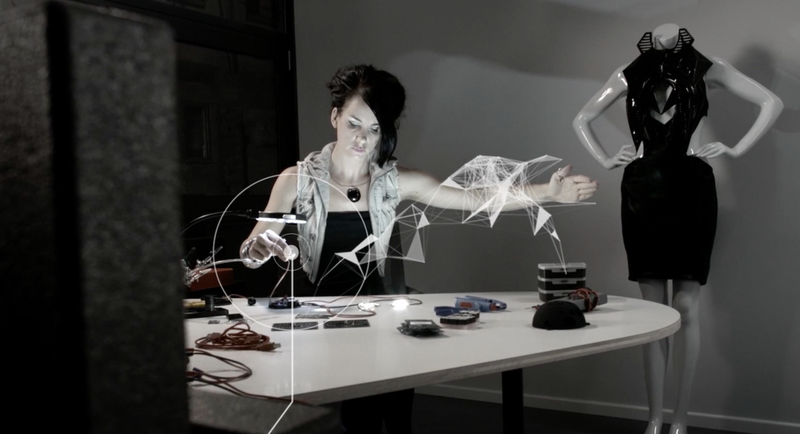 The relationship between the body and technology is closer than ever since designers, artists, scientists, and engineers started combining their practices at the beginning of this century, and with every passing day we are weaving electronics more tightly into the fabric of our physical world. Electronic systems can now be layered seamlessly onto a material or substrate such as plastic or polyester. Embedded processors and sensors for transmitting and receiving information create a vision of cultural transformation that is both exciting and disturbing. We shape technology, but technology also shapes us. In a future where electronics are predicted to be embedded in everyday objects, - what kind of clothes will we wear? Will future techno fashion be purely aesthetic - or will it expand our awareness, acting like an intelligent second skin? Will we become super sensory, physically aware of data flows, communicating our internal states through the garments we wear? And, most pertinently perhaps, how will we socialize in our world when we are supervised by technology?